Enjoy a Hotel Break for two in Stirling in the Stirling Court Hotel, which is a secluded hotel that is ideal for couples who love greenery and a great landscape, which makes it perfect for a romantic break. 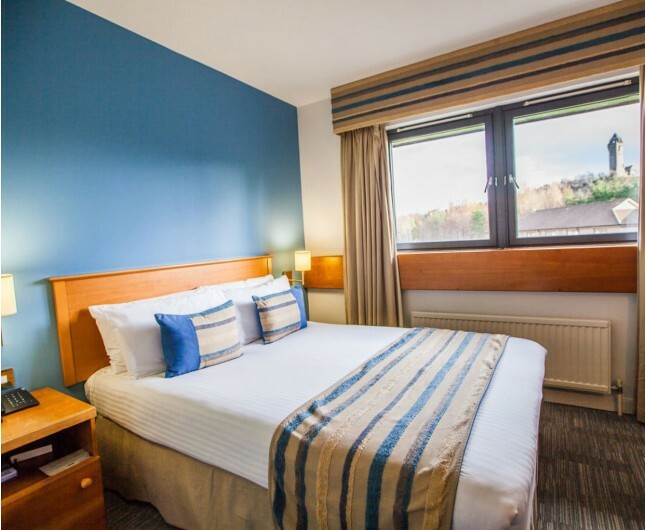 The Hotel Break for Two in Stirling is located at the Stirling Court Hotel, which is situated in a convenient region of Scotland, making it the perfect break for any couple to enjoy. Your one night stay in this amazing hotel will include Breakfast, a bottle of house wine, a delectable fruit basket and full access to the leisure facilities. 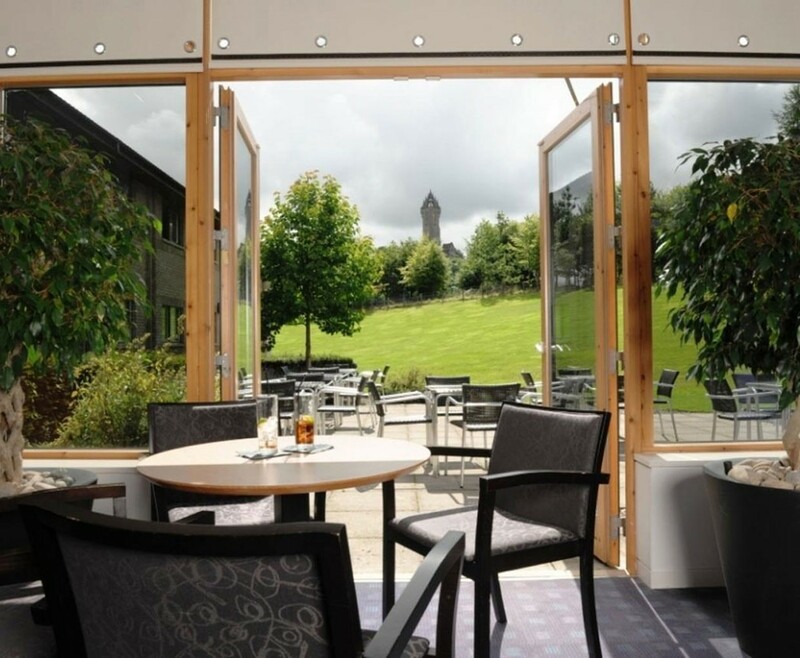 Whilst at The Hotel Break for Two in Stirling you can enjoy the breath taking surroundings, Located within the stunning grounds of the University of Stirling and set in 300 acres of stunning parkland, the Stirling Court Hotel is just 10 minutes’ drive from Stirling city centre. There are a variety of facilities on site, which include: 50MM pool, a modern gym, and a 9-hole golf course all situated within the grounds just minutes from the hotel. 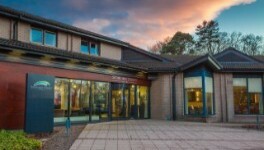 There are a numerous amount of shops on site such as: The Macrobert Arts Centre has a full programme of films, live theatre, concerts and exhibitions.100 en-suite bedrooms, including single, twin, double and accessible rooms. When dining at the Hotel Break for Two in Stirling, they seat up to 230 diners, the radiant and open Abbey Craig restaurant is open in Stirling for breakfast, lunch and dinner daily. Their seasonal menu offers a broad assortment of hot and cold dishes to cater for every taste. Breakfast and lunch are both varied service meals, while dinner is waiter service. Vegetarian dishes are a standard on all menus. Vegan, gluten free, sodium free, and other particular dietary needs can be simply serviced for with an in-advance notice. Stirling court hotel also provide locally sourced ingredients, as well as a vast range of wines to choose and order! A romantic stay in a twin or double room that have been decorated in a modern and fashionable design aswell as amazing scenery, with elegance to create the perfect atmosphere for a romantic break. 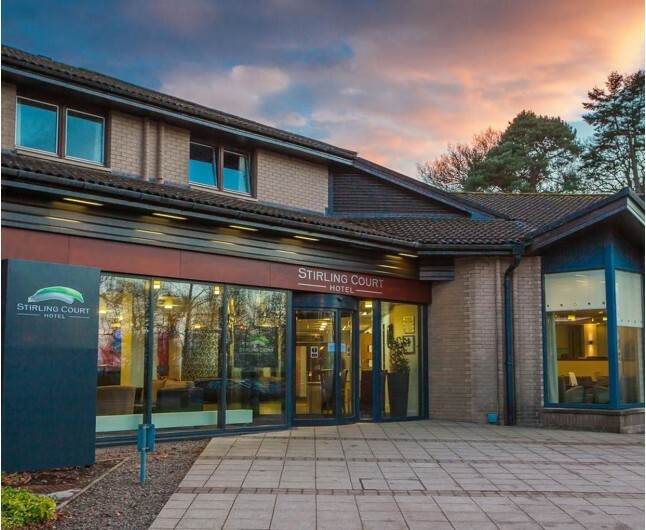 Located within the picturesque grounds of the University of Stirling and with stunning views of the iconic Wallace Monument, the Stirling Court Hotel is a hidden gem. The Hotel Break for Two Stirling is based on two people sharing a double or twin bedroom for one night. This experience is valid for 12 months from date of purchase. Breakfast for two people is included on the morning following your one night stay.